Mocha-Java "Private Reserve No. 227"
Blended in the traditional way from our Yemen Mattari and Aged Sumatra Mandheling. We are extremely proud of this smooth, rich, and seductive coffee. An ideal after-dinner coffee; serve it the gracious old-fashioned way, in a demi-tasse. This was the first coffee blend in the world. Also available Swiss Water Process decaffeinated for an additional $1. Mocha Java is the original coffee blend, originally combining coffee grown in Yemen and Java, two of the world's earliest coffee growing regions. Mocha was the most important market for coffee from the 15th to the 17th century. Its importance was enhanced by the Ottomans who required that all ships entering the Red Sea stop at Mocha to pay duties on their cargos. Java was planted with coffee by the Dutch in the 17th century. It produced an excellent coffee until the Arabica coffee trees were replaced by Liberica and later Robusta due to a rust plague. Currently there is some Arabica produced, but we use another Indonesian coffee in our blend from Sumatra. 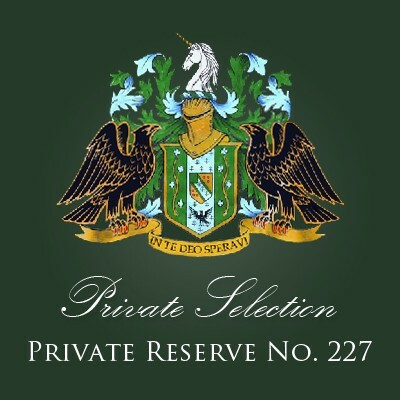 Our Mocha Java Private Reserve No. 227 is one of our most popular coffees. It balances the rich full body of aged Sumatran beans with the distinctive flavors of our Yemen Matarri. While we have helped pioneer estate and single origin coffee, this blend reminds that an excellent coffee can be had from balancing the characteristics that make single origin coffee beans distinctive. Mocha Java "Private Reserve No. 227"